The island of Taha'a, Uporu by its ancient name, is located in the Society Islands, in the same lagoon as the island of Raiatea. Raiatea played a major role in Polynesian migrations throughout the Pacific Ocean and is still an important historical and cultural center, witness of well-alive civilization and traditions. Taha'a is also known as the Vanilla Island. Its fertile land and climate produce what chefs and gourmets around the world think is the tastiest, most fragrant vanilla on earth. Tahitian pearls are also produced in Taha'a. A few pearl farms take advantage of the island's pure lagoon to grow endless variations of the famous pearl. 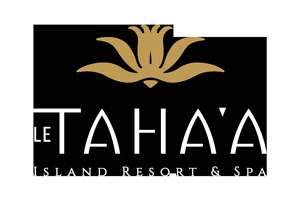 A stay in Taha'a is a unique experience. The island is blessed with lush mountains and valleys, turquoise lagoons, virgin motu islets. The Vanilla Island has it all, not least of all because it retains its Polynesian flair : people still share a truly authentic, friendly and relaxed way of life. Fishing, vanilla and agriculture, pearl farming and tourism are part of their daily lives. There is something magical and poetic about Taha'a, and it just seems like time has stopped, allowing each and every one to enjoy this land of beauty at their own pace.